Sharing the natural world, especially about birds and photography is one of Josh’s favorite things to do. He has a plethora of topics built into pleasing and entertaining presentations for all ages. Whether you are a company looking for a lunch-n-learn, have a bird club, garden club or adult education group, Josh can tailor a great presentation for you. Topic: Join Josh for a program on learning bird songs! Ask any birder where they struggle with learning birds and songs are sure to come up. The diversity and breadth of songs matched with the lack of time we have with migrants bring unique challenges to birders wishing to learn and retain the many songs in the forest. 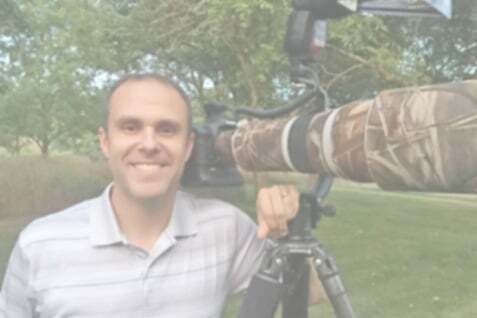 This program will include tips and tricks for identifying birds by ear, how to approach the sheer number of birds to learn and also feature some of Josh’s best images as a bird photographer. Topic: Join the Kellogg Bird Sanctuary and Josh for the 12th annual Field Ornithology Course! This engaging, hands-on learning experience will help you learn more about the fascinating world of birds and improve your bird watching and identification skills. Each two-part lecture will include talks from a state or local scientist/expert followed by an identification lesson led by Josh. Josh’s dynamic teaching style will encourage students to take information shared in the classroom outside in the field! josh@hawksonthewing.com or click HERE to register. Feel free to call or e-mail if you’re interested in having Josh speak for your group.